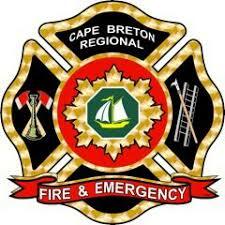 Provide strong leadership to the service as it continues to strive to provide quality fire firefighting within the Cape Breton Regional Municipality. Leadership will be key in leading the Fire Service through changes to meet the ever-changing demographics of the Community and regulatory requirements. Performs a variety of technical, administrative, and supervisory work, in planning, organizing, directing and implementing duties and responsibilities for the Fire and Emergency Services Department. This includes but not limited to acting as Chief of the Sydney Career Fire Department and Director of 33 Volunteer Fire Departments; Directing Regional Fire Prevention, Education and Inspection and Training activities. If you have years of experience in a supervisory role and fire safety, then we have an opening for you. We are looking for a new and experienced Fire Chief to join our department. As a Fire Chief, you will plan, coordinate, supervise and evaluate fire and EMS operations, establish policies and procedures for fire and EMS departments, and supervise the inspection of buildings. Also, plan and implement fire and EMS programs for the city to better carry out the policies and goals; review departmental performance and effectiveness; formulate programs and policies. And represent the cities' fire department in a variety of local, county, state and other meetings. To qualify for this position, you must have a Bachelors degree in fire science, public administration or a closely related field, previous experience of satisfactory performance in a supervisory role involving fire fighting and administration in a fire department, and knowledge of modern fire suppression and prevention. Don't let opportunity pass you by. Apply now at the link provided.